I’ve always loved how stylised the art is for the Incredibles franchise – it’s bold and vibrant, just like the soundtracks Michael Giacchino has composed for them. We’ve already heard some excerpts of the new soundtrack in the variety of teasers and trailers that have been released over the past few months, particularly in the latest 1-minute clip that we posted about earlier in the week. 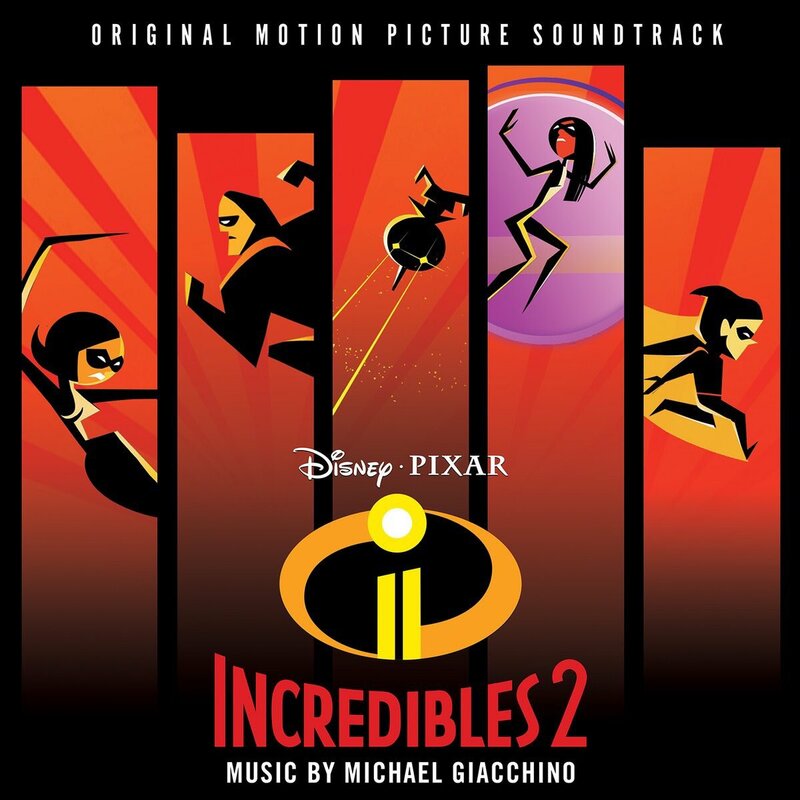 It didn’t really seem possible that a soundtrack could sound more upbeat and more exciting than the original The Incredibles soundtrack, but Giacchino’s composing superpowers appear to have achieved the impossible! So what kind of plot information can we glean from the titles? Looks like Elastigirl will be taking the pilot’s seat again (“Elastigirl’s Got A Plane To Catch”), and I can only assume that “Rocky vs. Jack-Jack” is referring to a face-off between Jack-Jack and his raccoon nemesis. “Looks Like I Picked The Wrong Week To Quit Oxygen” certainly sounds dramatic! We’ll just have to wait until June 15th to find out what on earth that could mean. You can pre-order the Incredibles 2 soundtrack on Amazon.com now. Today is composer Michael Giacchino’s 50th birthday, and what better day to celebrate his (quite literally) incredible contribution to Pixar movies? Michael Giacchino is responsible for the film scores of many Pixar works, including both feature length and short films. He wrote the music for The Incredibles, Ratatouille, Up, Cars 2, Inside Out, and the short films “One Man Band,” “Lifted,” “La Luna,” “Toy Story of Terror!,” and “Toy Story that Time Forgot.” He’s received numerous nominations and awards for these scores over the years, including 6 awards for The Incredibles, 2 for Ratatouille, and 10 for Up. Next month, we’ll get to hear the soundtrack he has created for Coco and it’s sure to be vibrant and full of life. Some truly iconic Pixar pieces have been written by Giacchino, including “Married Life,” “Bundle of Joy,” “Free Skating,” and the entire theme of The Incredibles. His music is suited perfectly to Pixar movies – it brings emotions to the forefront and can tell a story purely through the notes, themes, pauses, and swells. For a shining example of this ‘story-telling through music’, look no further than “Married Life” from Up – with no dialogue and set against one of Pixar’s most famous scenes, the score is able to bring to life the poignant story of Carl and Ellie’s married life together. I love the way Pixar often chooses to set dialogue aside and instead rely on expressions and body language to communicate to the audience. These scenes (or even entire short movies) would be nowhere near as powerful without the music of composers such as Giacchino. There are a few composers that Pixar keep coming back to – and with good reason! It really makes their films feel and sound more unique and recognisable. Nothing is quite as characteristic of Pixar as a Randy Newman piece (Toy Story, A Bug’s Life, Monsters Inc), and Thomas Newman’s (Finding Nemo, WALL-E) almost other-worldly sound never fails to transport me to the unexplored worlds of the ocean and outer space. Michael Giacchino always manages to capture the emotion, excitement and character of each of the movies he’s worked on. Who is your favourite Pixar composer? And what is your favourite Michael Giacchino score or piece? Let us know in the comments or on our Twitter and Facebook! “Coco has music in its DNA,” director Lee Unkrich stated, much like its protagonist, Miguel Rivera. And who better to make that music come alive than frequent Pixar collaborator, Michael Giacchino? 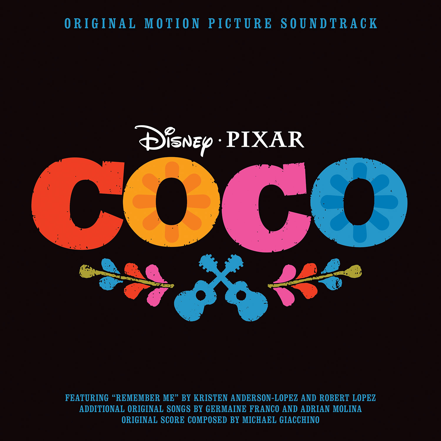 Also featuring the songwriting talents of husband-wife duo Robert Lopez and Kristen Anderson-Lopez, Coco‘s soundtrack promises to be as vibrant as the film itself. Coco resonated with Giacchino, who described the film as a “mosaic of emotions.” “It made me think about my family and my connections to relatives back in Italy. This film speaks to everyone.” And the music he’s created is for a story that’s universal, but also wholly Mexican. You can buy and subsequently bless your ears with the Coco soundtrack on November 10th. With the North American release of Inside Out just a little over three weeks away, excitement continues to build. Now the official soundtrack, composed by Pixar veteran Michael Giacchino is available for preorder on Amazon, and Film Music Reporter has the full track listing, as well as the cover art. Michael Giacchino has previously scored The Incredibles, Ratatouille, Cars 2, and Up. His music has really made an indelible mark on each film, and we can only expect the best here! The album drops June 16th. Check back here for more Inside Out news, including a review of the enchanting art book. Thanks to Daniel Jensen for the heads up! Hot on the heels of his work on Toy Story of Terror, Michael Giacchino already has another project lined up with Pixar. In an interview held at a live performance of his Star Trek Into Darkness score, the composer shared which projects he’ll be involved with in the coming months. 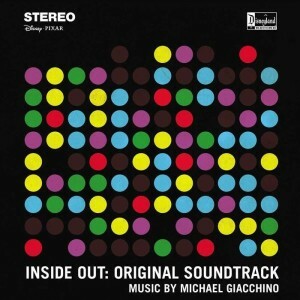 In addition to Jurassic World and Brad Bird’s Tomorrowland, Giacchino noted that he’ll be scoring Pixar’s Inside Out – his second collaboration with director Pete Docter after 2009’s Up. An attendee recorded the full Q&A with Giacchino, which can be viewed below (via Pixar Post). Inside Out is mentioned around 21:30. Michael Giacchino isn’t the only composer Pixar has plans with; back in March 2013, Thomas Newman revealed that he would be writing the score for Pixar’s then-2014 release, The Good Dinosaur. It’s unclear whether the film’s delay to November 2015 has affected his involvement. Inside Out releases on June 19, 2015. Are you a fan of Giacchino’s work with Pixar? Michael Giacchino, Soundtrack, Toy Story of Terror! While Pixar has consistently rolled out soundtracks for their features, their short films have gotten a far less favorable treatment; only The Blue Umbrella‘s score has received a formal release. Before today, it was unclear whether the music for Toy Story of Terror would be handled the same way. Thankfully, Amazon has confirmed that an MP3 release of the short’s score is on the way! Why’d It Have to Be Crawl Spaces? Pre-order the album at Amazon — the special airs on ABC the following day. Are you looking forward to hearing Giacchino’s music? Somehow this slipped by: Jon Brion and Sarah Jaffe’s wonderful music for The Blue Umbrella is set to release on iTunes next month, according to Soundtrack.Net and The Blue Umbrella Facebook page. The Blue Umbrella features a score by composer Jon Brion, with vocals by singer/songwriter Sarah Jaffe (The Body Wins, Suburban Nature). The director was listening to Jaffe’s music when he began work on the short. "There’s such an intimacy to her sound that touches you right at the core," Unseld said. "I always thought hers would be the perfect voice to make people care deeply about a love story between two umbrellas." Brion, whose credits include Eternal Sunshine of the Spotless Mind and Punch-Drunk Love, created a score that sublimely supports the wide-ranging emotional undertones of the short. "You can see how Saschka sees things," said Jaffe. "Everything has this life of its own. Objects in our everyday life are characters too. It’s really beautiful." Perhaps Disney may finally put out a Pixar short film soundtrack collection if this release succeeds. Regardless, it’s certainly worth looking forward to! The Blue Umbrella is now playing in theaters alongside Monsters University. What did you think of the music in The Blue Umbrella? UPDATE: Though the page still lists July 9 as the release date, iTunes now has two versions of The Blue Umbrella‘s score up for purchase; one with Sarah Jaffe’s vocals, and one without. Head over to iTunes to purchase it now! Randy Newman’s ‘Monsters University’ Score Now Available! His seventh soundtrack for Pixar, Randy Newman’s score for Monsters University has just been released in both MP3 format and on a physical CD. The album contains 20 tracks – 19 by Randy Newman, one by Axwell and Sebastian Ingrosso that was recently released as a single – and it strongly evokes a classic Pixar feel. Be warned that supplies are very limited for the physical edition, so order sooner rather than later. Download the score now from Amazon or iTunes. Let us know what you think of the soundtrack! New 60 Second ‘Monsters University’ Trailer! Still eager for more Monsters University previews? iTunes Movie Trailers has your back with a new minute-long video titled It All Began Here. Accompanying the frenetic new footage is Axwell and Sebastian Ingrosso’s new track for the film, Roar, which will (interestingly) be getting a separate release on June 4 ‒ weeks before the full Monsters University soundtrack on the 18th. The movie itself will follow on June 21, which is now less than a month away! How are you getting ready for Monsters U?